When I see a beautiful kitchen, I don’t just see counter tops, cabinets, and the latest appliances. I see people. I see people cooking, laughing, and spending quality time with their family and friends. I don’t just see a bathroom. I see a relaxing retreat and a place for a little bit of pampering! Helping my clients make their dream kitchen or bathroom a reality is what I absolutely LOVE doing. I’m Randi Destefano, and for over 27 years, I’ve been helping homeowners, just like you, discover how their lifestyle works to inspire their design. Your home should tell YOUR story, not mine or your best friend’s, so getting to know you and the dreams you have for your space, is the first priority. My motto is this: YOUR SPACE MATTERS. Your space should lift you up and make you feel energized and ready to face the day…in a good way. Over the years of working with clients on renovations and new construction, I’ve watched as they go from feeling insecure and embarrassed about their home, to feeling excited and confident and ready to entertain family and friends. That brings me joy! Remodeling or renovating your home is a huge commitment. Sometimes it’s a little scary. Will it cost too much? Will I forget something and make a costly mistake? How can I trust someone to do it for me? I understand these fears and concerns because I’ve been there myself. And because of this, I’m even more passionate about guiding you every step of the way so that your design project is as worry free, easy, and enjoyable as possible. I become Your Interior Design Advocate. And that’s why I created Three Costly Renovation Mistakes and How You Can Avoid Them. It’s yours at no cost when you leave your name and email in the box at the top right corner of this page. With years of professional design experience around Atlanta, GA and the Lake Keowee area of SC, you can rest assured that you’re working with someone you can trust. Someone who knows that Your Space Matters. 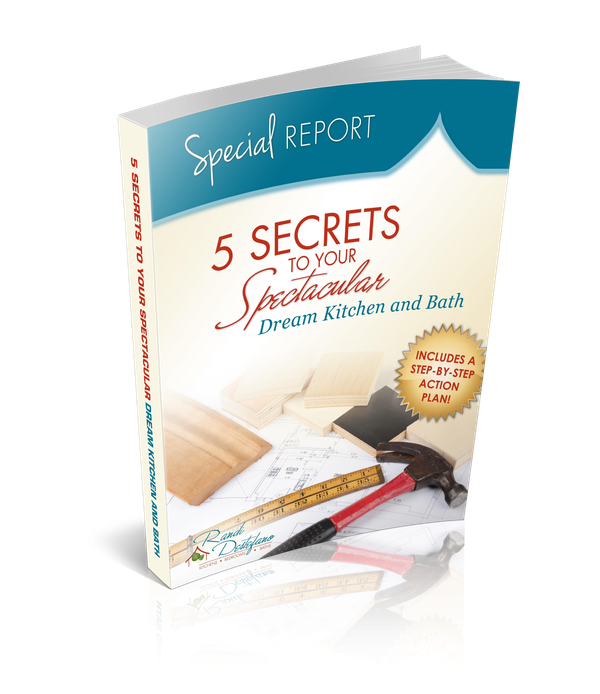 I look forward to getting to know you, and creating the kitchen or bath of your dreams. Because that’s when the magic happens! I believe that your life should inspire your design, so here’s a quick look at my life – “behind the curtains” – It’s my Top Ten List, so to speak. Fun facts about me, my life & my passions…in no particular order! I believe YOUR SPACE MATTERS and it affects the way we “show up” in the world every day. You’ve heard of the ripple effect of a pebble? Being kind to someone can impact their day in ways you’ll never know…and it all begins at home. I love to learn about the local crafts, culture, textiles and traditional designs wherever I travel. My ever-growing collections are a constant reminder of fun times and fun travels. I enjoy having a glass of wine with friends, on our boat, at Lake Keowee in South Carolina. My 3 beautiful granddaughters (and my husband, daughters, and son-in-law) are THE best! I find singing and dancing to upbeat music is a great energizer. In my car, I’m a rock star!!! I love meeting new people and really getting to know them. In my free time, I love yoga, tennis, hanging out on the lake, and quilting. I’m a new golfer, and though I won’t call it relaxing, I’m getting there! I’d say I love doing pottery, but I think it’s more like playing with clay these days! I once owned a quilt shop, and collecting fabric is my addiction. I’d love to connect with you through my blog and newsletter, Life in the Kitchen. In it I share design tips, the latest trends, and design inspiration so you can bring your life into your home. Leave your name and email in the box in the top right corner to get started today!